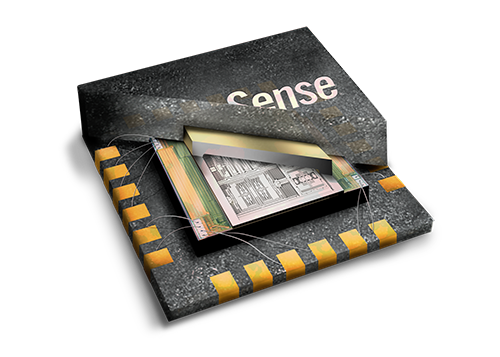 nvenSense’s 6-axis family of motion sensors with a 3-axis gyroscope and a 3-axis accelerometer on the same silicon die are the highest performance sensors in the market with the lowest noise, best temperature stability, and highest sensitivity accuracy. These key factors are key to create applications such as navigation, imaging, and augmented reality, with the best user experience. This portfolio includes sensors with intelligent on-board processing designed for the smart use of power where the main processor can be kept in low power mode, such as when a wearable device is keeping track of a user’s steps to count calorie expenditure. These devices enable manufacturers to eliminate the costly and complex selection, qualification, and system level integration of discrete devices, guaranteeing optimal motion performance for consumers. The 6-axis family also supports highly configurable multi-interface devices that for example support external devices such as manometers and barometers. 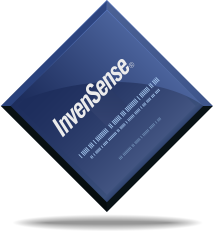 Combined with the InvenSense MotionApps™ Platform, sensor management is offloaded from the operating system and the motion-based complexities are abstracted using a structured set of APIs for application development.